Use A / An or not and review the clothes. 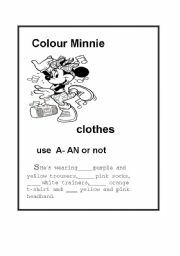 Pupil complete the description and take it into account for colouring Minnie. Pupils complete the time and colour Alicia´s drawing. 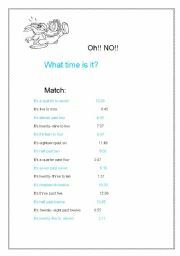 It´s a good worksheet to improve the time. 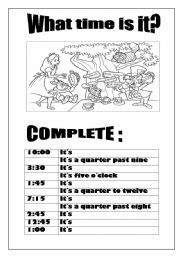 Pupils practice the time. 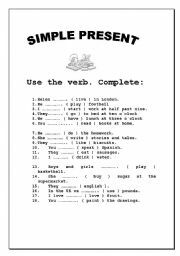 I´m going to use this worksheet for homework. 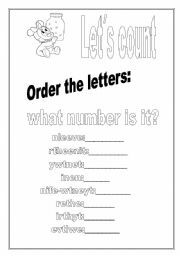 Pupils practice to write correctly the numbers.Colour the drawing and the letters.They like it.